This post may contain affiliate links, see disclosure policy for details. 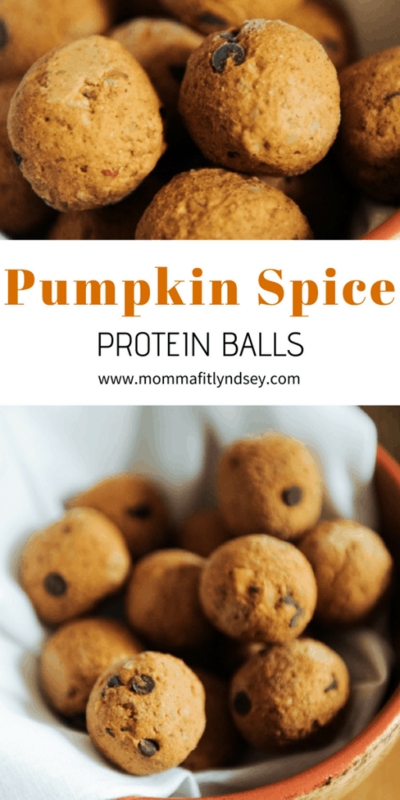 Pumpkin Spice Protein Balls? Yep, it’s time. Hands up if you could eat pumpkin all year round?! The answer here is absolutely yes! However, I do like to temper my pumpkin love until it’s a least close to back to school. So yes, I’m totally not hating on Starbucks for bringing out the PSL mid-August. So – prepare yourself… this post is one of the first seasonal flavor posts you’ll be seeing over the next few months! I’ve got lots of yummy fall-inspired recipes for snacks, side-dishes and comfort foods coming your way. But – newsflash for no one… they’ll all have a healthy spin. Low carb and keto-friendly snacks and desserts, healthy Thanksgiving side dishes and some clean eating holiday and Christmas treats coming your way! 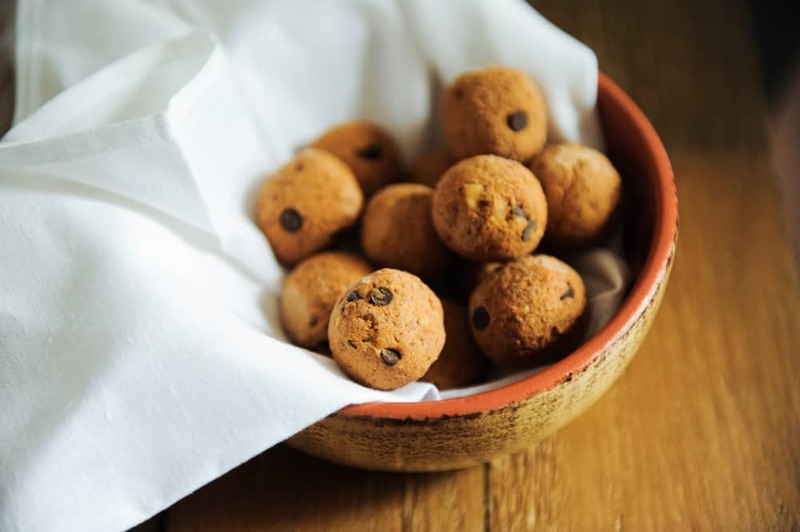 Until then… pumpkin spice protein balls. This post contains affiliate links, please see disclosure for details. So why pumpkin? What makes pumpkin so great for us? Aside from the fact that basically everyone loves pumpkin pie! Pumpkin in its pure form (I don’t mean pumpkin pie mix) helps to slow digestion. It’s full of fiber! But unlike other sources of fiber like whole grains, it’s a very low in calories. Pumpkin is also full of Vitamin A and Vitamin C. Web MD explains 6 surprising benefits of pumpkin. Why Should I include protein in my snacks? Did you ever eat a snack that didn’t include protein? Usually you are starving just a bit later. That’s because protein has the power to keep you fueled! Including protein in your snacks will help to keep you satiated and not craving another snack 20 minutes later. 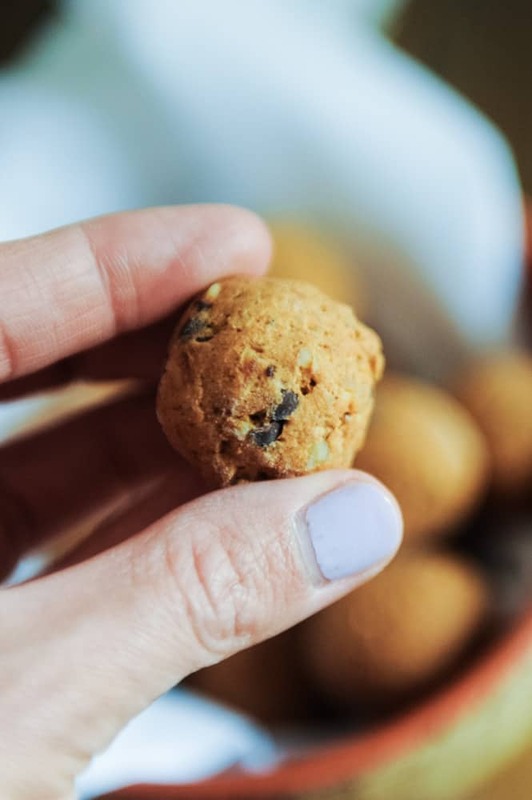 Since these pumpkin spice protein balls include both protein and pumpkin you are getting a protein and fiber filled snack! 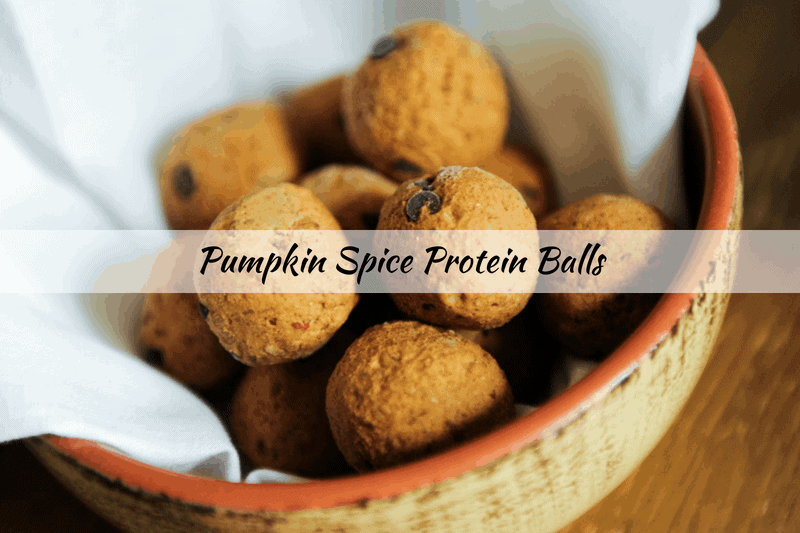 Want the Pumpkin Spice Protein Balls Recipe? Keep Scrolling! Combine all ingredients in a large bowl. Mix until well incorporated. 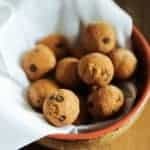 Scoop out approximately 12 balls with a small cookie scooper. Balls will be a firm pumpkin pie consistency. Place balls on plate and freeze for 10 minutes before serving if eating immediately. Store frozen and thaw for 5 minutes before serving. What Kind of Protein Should I use? 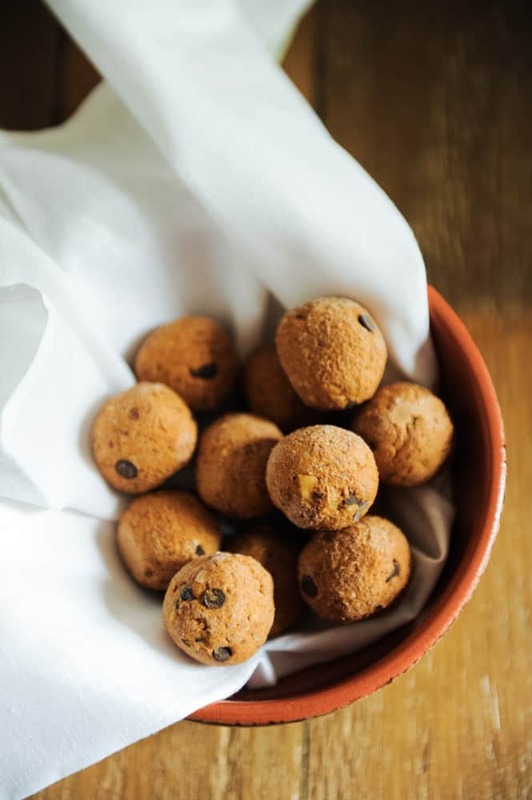 You can choose any kind of vanilla protein powder to include in these pumpkin spice energy balls. Here are a few of my favorite protein and superfood powders I use that make this recipe delicious! One of my favorite shakes – Shakeology – is actually coming out with a Pumpkin Spice flavor! Are you pumpkin-obsessed too? Did you get your first PSL yet??? Tell me about that pumpkin-love in the comments!! Join 20,312 other followers and subscribers in getting more healthy family lifestyle tips & recipes right to your inbox! Download your FREE weekly meal planner here! Send me my Free Meal Planner! Subscribe to get simple healthy lifestyle tips sent straight to your inbox! It really depends on your protein! Depending on what protein you use will determine how many calories are in each one. I would estimate servings to be 2 for a snack portion and calories to be around 140 per two balls. Protein will depend on which protein you select. Hope that helps!